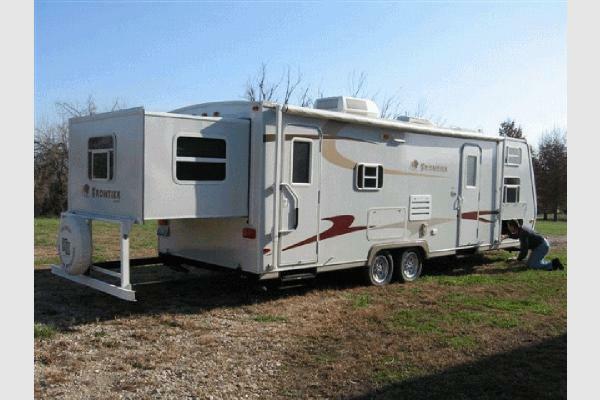 2007 KZ Frontier 2405, Front Bunks, Rear Slide-Out, Fiberglass Exterior, Manual Jacks, Air Conditioner, 17' Manual Awning. 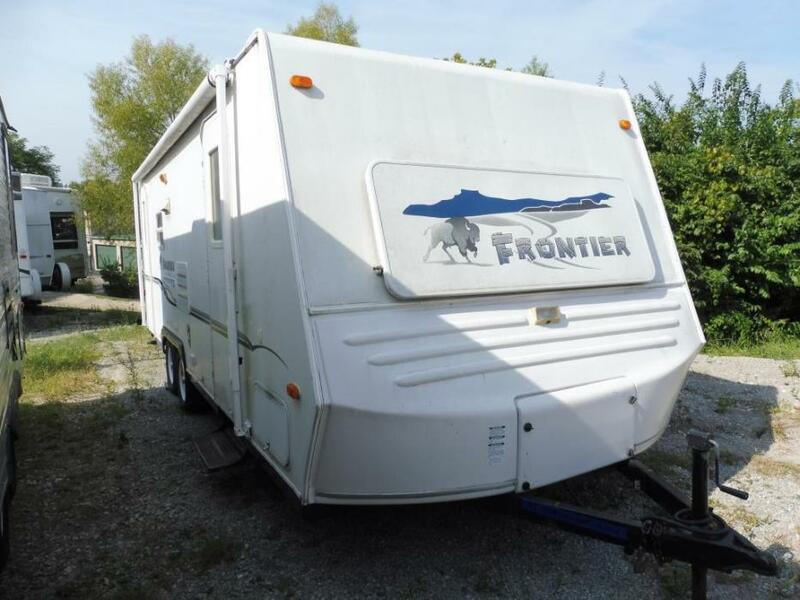 2007 KZ FRONTIER M2405, Call for details. 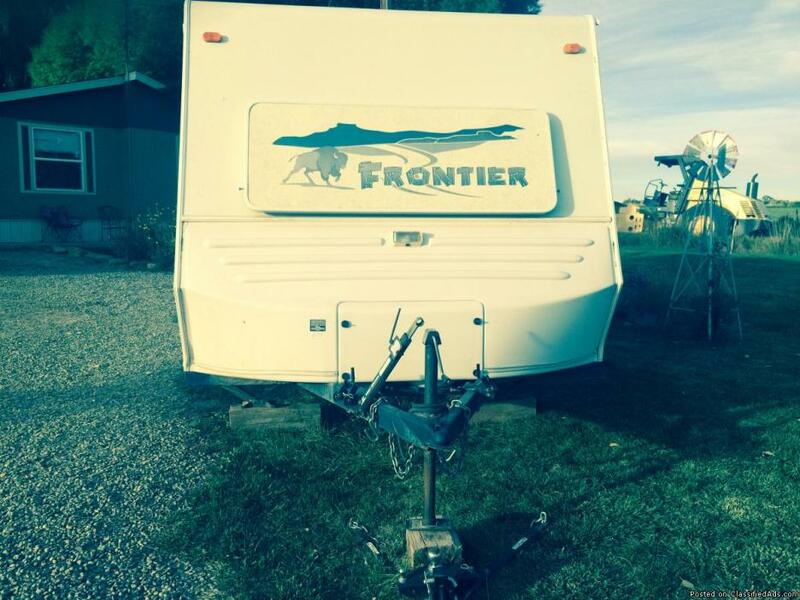 2005 KZ RV FRONTIER 2405, This 2005 Frontier is in excellent condition. 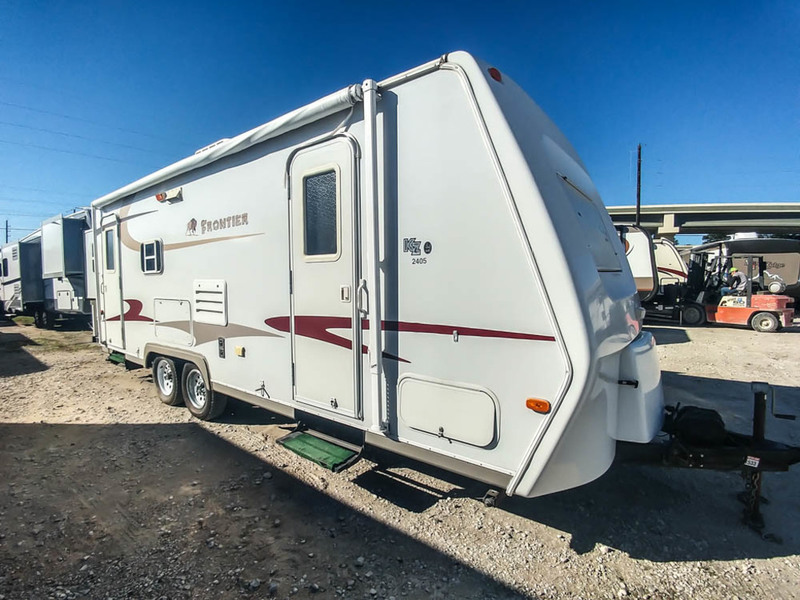 2004 KZ Frontier 2405BH, AM/FM CD player, Spare tire, Patio awning, Microwave, 3 Burner range with oven, Outside shower, Power roof vent, Skylight, Roof A/C, Stabilizer jacks, TV Antenna, 2 Slide-outs, and more. 2003 Sportsmen 2457 GREAT STARTER! 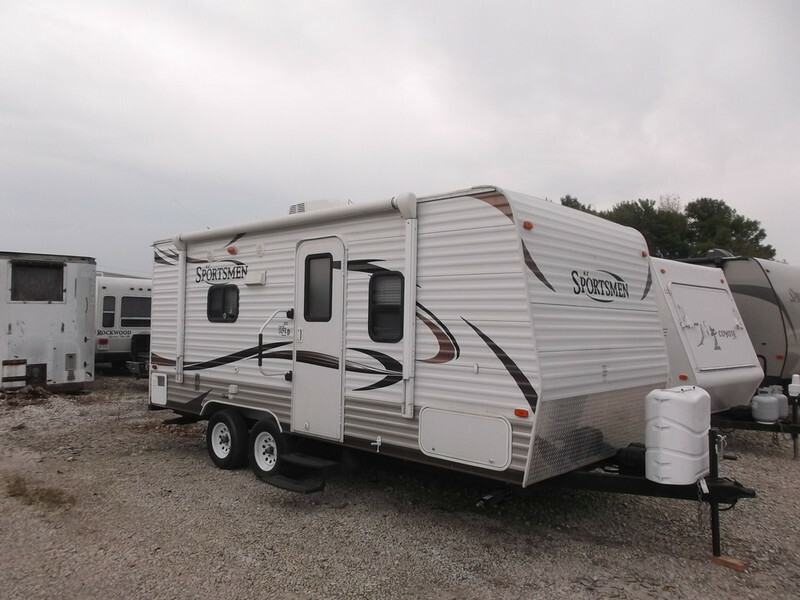 2003 K-Z SPORTSMEN 2457 24 FOOT; TWO REAR SLIDES; ROOMY FLOORPLAN; PREVIOUS LEAKS, BUT HAVE BEEN FIXED; WEIGHS 7220 LBS.GREAT STARTER! In great condition with new A/C and new awning! 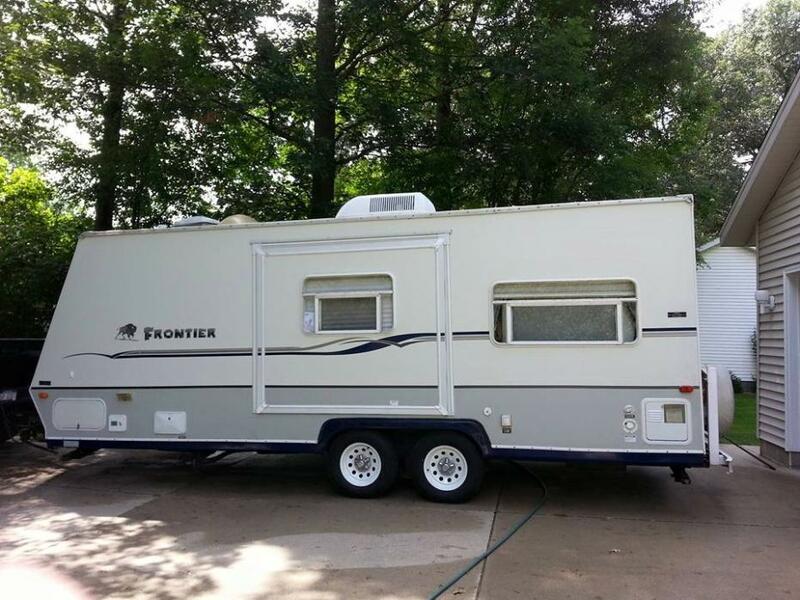 This KZ FRONTIER sleeps up to 9 people and includes 2 slide outs (one is auto). Inside is a Queen sized bed at one end and bunk bed with double mattress on bottom and single up that has a sliding door for privacy at the other end. There is also a large mirrored wardrobe, sink and vanity area with medicine cabinet at that end along with the bathroom that has a tub and shower.Both ends have doors for easy outside access. In the center of the camper is the kitchen, dinette that converts to a full bed and couch that also converts to a full bed. Kitchen features are 2 door fridge/freezer (runs off gas or electric) a 3 burner gas stove and oven, built in microwave, dual sinks and extra deep pantry. Tons of storage in this unit and shades throughout! There is also an outside kitchen, electric jacks and outside shower. The water heater is 2- way gas or electric. There is central vented heat and A/C.After years of tent camping this was our first camper. We have found that we had plenty of space to be comfortable for a week or more and have camped year round and really enjoyed it....even when it was in the 90's, 30's or when it rained for 4 days. The size is just right for pulling with most trucks and length perfect for almost all parks (30 when pulled out). Sportsmen made a quality product with the KZ Frontier. We have had so many great trips with it and the grandkids that we are moving on to a class A! If desired all items can remain with camper which include full kitchen tableware,flatware, coffee maker, slow cooker, rice cooker, pots and pans.